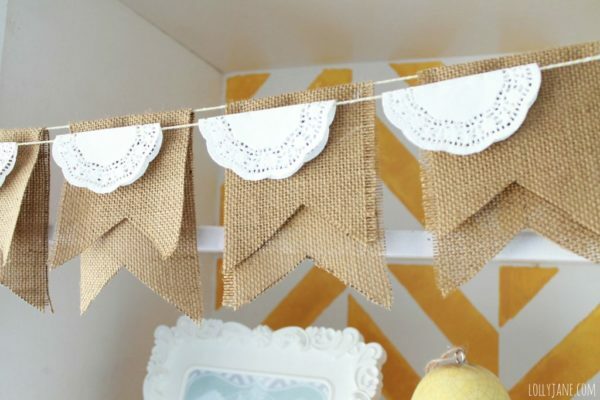 As promised, today I’m sharing my easy burlap doily bunting. It’s actually two separate buntings that I hung from the same vintage tacks but I love them combined. You’ll be surprised how inexpensive the supplies were and how easy it was to make! 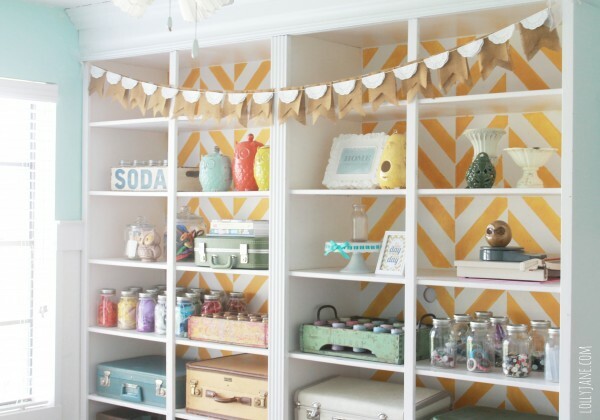 I love the vintage flair it gives off in my newly finished herringbone bookcases in my craft room. 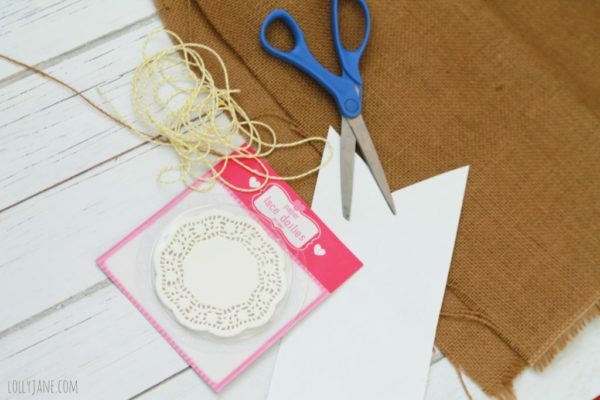 Ready to make your own burlap doily bunting?? I paid @2.99/yard for my burlap from Hobby Lobby. Then I used my 40% off coupon so it was super cheap! My 8′ bunting used 1/2 a yard to give you an idea how much you’ll use. I bought the pack of doilies, 20 for $1 is the dollar spot at Target. But I see them often at the dollar store. Bakers twine, as you can tell from my crate storage, I have 17 rolls and counting. It’s great for so many uses, love having a variety! 1: Use template here, trace template on burlap. 2: Cut out with fabric scissors. 3: Fold over almost in half, just shy of. 4: String with bakers twine, hot glue in place. 5: Fold doilies in half, follow step 4. See how easy and affordable that was?? I love it! I feel like burlap is a timeless fabric that will never go out of style. Do you agree? And lace doilies are so vintage, the paper version is that much cheaper! So tell me, where would you put your burlap doily bunting?? We have tons of bunting tutorials here on LJ like our pom pom bunting for example! Click to check out the full ALL of our CRAFT ROOM posts like our bookcase before and after pics, vintage crate tutorial, even a herringbone roundup! 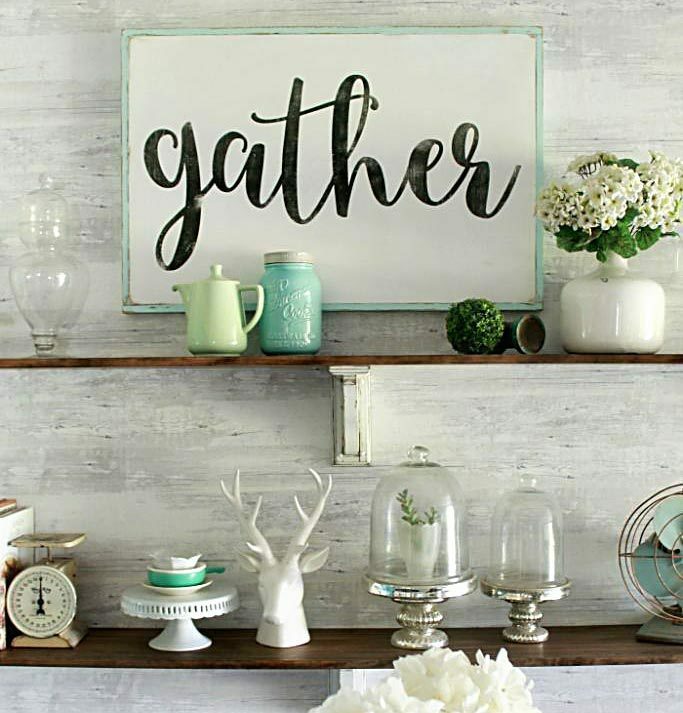 You’ll love our mason jar storage too! Be sure to check out our many banners and buntings on our pin board if these styles dosn’t suit your fancy! 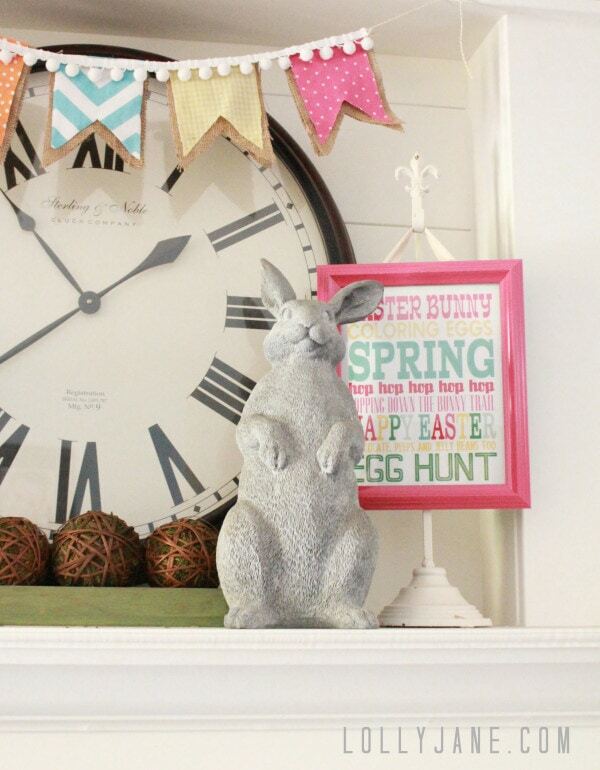 If you’re looking for craft room ideas, we also have a pin board for that! Okay so we’re junkies, we have over 150 boards that are updated daily, love the inspiration that comes from Pinterest, so many talented peeps on there! I agree, burlap is timeless. 🙂 Love your bunting; thanks for sharing! I just love it!!!! Great job!! I really need to start playing around with burlap! I have a bunch too!! Hi Girls, I love the bunting! Yes I agree Burlap is timeless, hence why I’ve dedicated my whole blog to it! I would love to feature your project on my blog with links back to yours for the ‘how to’, I think my readers would love it! Let me know if this is ok with you. Regards, Suzanne. I’m so in love with this whole space! the bunting is the perfect finishing touch! I love your buntings. It looks simple, cute and easy. Maybe I could also try that and put something else that would make it more beautiful. I am thinking of putting some colors, what do you think? That is darling. I love the layered banner idea! This is super cute! I love the idea. I’d love for you to consider joining our first ever Pattern Party! Those with free patterns to share are invited to link up. Check it out! This is such a cute idea! 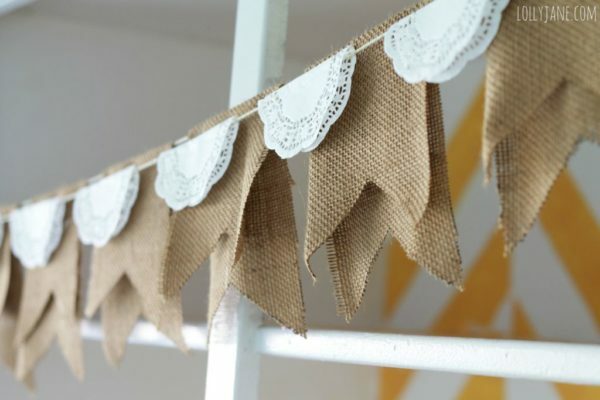 I love all the cute bunting AND burlap ideas out there! Love that you incorporated both! So darling! That is adorable! love your craft room too. FUN! 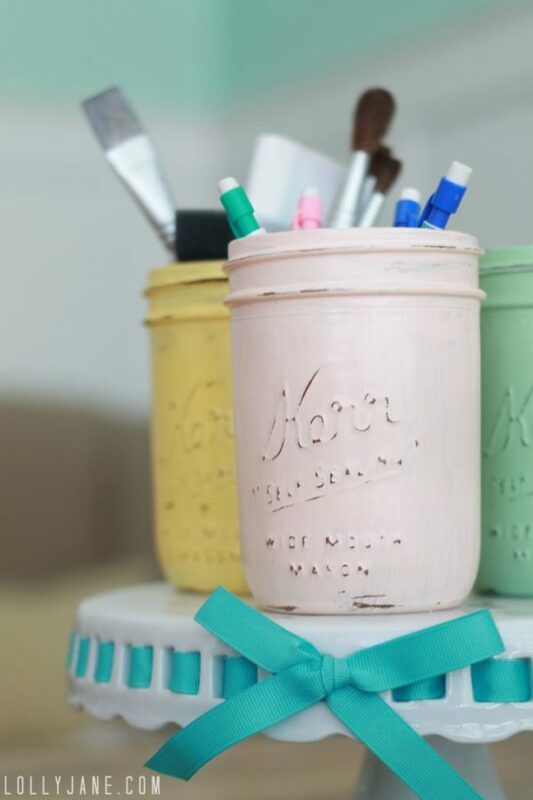 Obsessed and would LOVE to make this for my daughter’s birthday! I am such a huge fan of burlap – can’t get enough of it! I know this is an old post, so I’m hoping this still gets to you, but is there a link to the bunting template? If not, how large is the template you created? Thanks so much! Is the banner template still available? When I try to click on “here” there is not a hyperlink. Thanks! Nevermind, I found it in the comments.